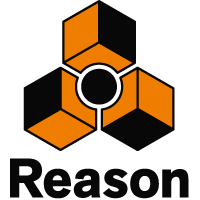 Propellerhead has announced a version 8.3 public beta of its Reason music production software for Windows and Mac. RV7000 mkII — Explore creative reverb sounds with RV7000 mkII! The new version of Reason’s cornerstone reverb effect turns RV7000 into a fully featured convolution reverb. Load any of the supplied impulse responses or create your own otherworldly reverb effects by sampling or loading your own impulse responses. Browse where you are! — Call up Reason’s browser from where you work! The new browser introduced in Reason 8 offers a vastly improved workflow, but was previously only accessible from the main window. After feedback from users who use Reason with the rack in a detached window, you can now access the browser from there as well. Quick Zoom — Move quickly from birds-eye view to close-up. Hit the Z key to zoom to your selection and hit Z again to zoom back out. This is a real time-saver when editing and arranging! MIDI in the Rack — Some Reason users spend most of their creative work in the rack view. Now you can select what device receives your master MIDI controller input directly from the rack, without having to go to the sequencer. Reason 8.3 beta is now available for download for Windows and Mac. A Reason or Reason Essentials 8 license to authorize the test builds (otherwise the software runs in demo mode).